Mediocre battery life can’t stop the Skagen Falster 2 from stealing our heart. 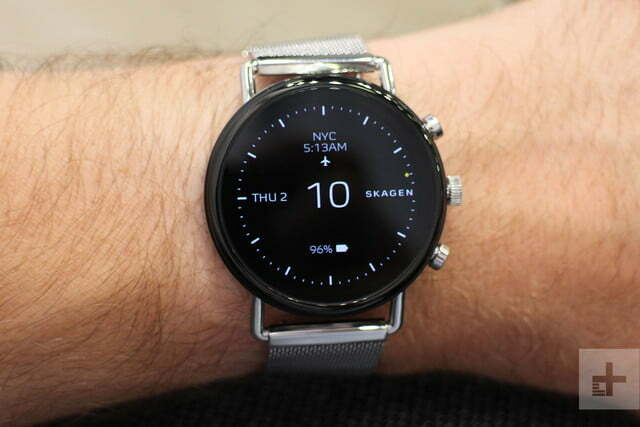 Skagen impressed us earlier this year with one of the most beautiful smartwatches in existence, the Falster. It’s light on features, but we immediately fell in love with its simple yet elegant design. Not even a year later, there’s a follow up — the Skagen Falster 2 — and it brings a lot more functionality, including GPS, NFC, and a heart rate monitor, along with a slightly tweaked appearance at the same great $275 price tag. Sadly, there’s no improvement to battery life, which remains one of the biggest flaws of this Wear OS watch, next to sluggish performance. 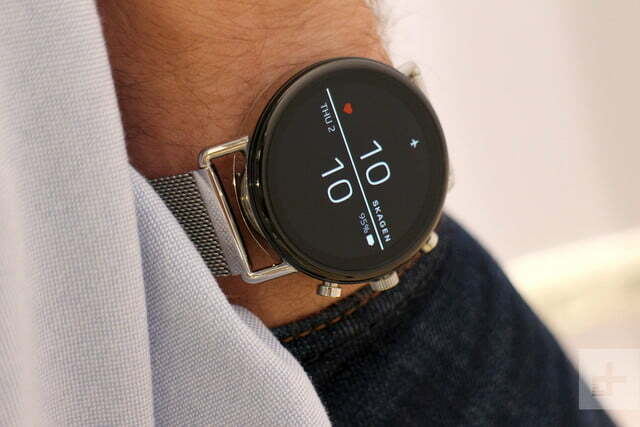 The Skagen Falster 2 is still one of our favorite smartwatches to wear because it makes us feel good when it’s on our wrist, and that’s crucial. Do looks — and a good price — win out over battery life and performance? We’ve been wearing the watch to find out. You might think there’s no difference between the Falster and the Falster 2, but the changes are subtle. The bezels around the screen have slimmed down a little, and the case size has shrunk from 42mm to 40mm. The watch is also now 1mm thinner than its predecessor, which altogether means the Falster feels more compact and lighter on the wrist than ever before. It’s easy to forget you’re wearing the Falster 2 — it’s that comfortable to wear. We love the shape of the lugs that slope down, as there are almost no gaps between the watch straps and the wrist. The design is unisex, and it’s still one of the best looking smartwatches you can buy today – which is saying a lot considering the sheer number of smartwatches available. It pairs well with most outfits, though you may want to use a silicone strap if you plan on exercising with it. 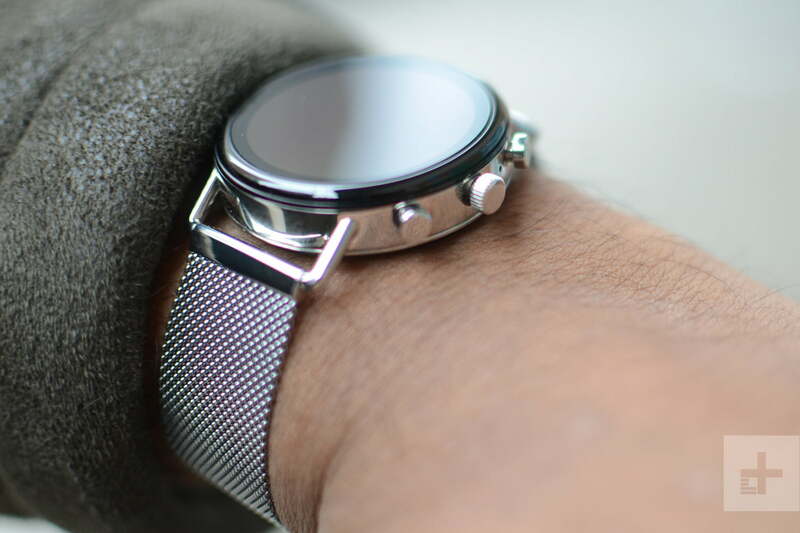 We reviewed the model with the delightfully stylish magnetic steel mesh strap. There’s no buckle here — the strap magnetically stays secure. It tends to loosen throughout the day, but it’s easy to tighten with a tug. The 20mm straps are interchangeable, and there’s a variety strap styles available on Skagen’s website, ranging from brown leather and black silicone straps to rose-tone and black cases. Our favorite is the brown leather strap with the black case, but the model seen here is a close second. If the Falster 2’s looks tug at your heartstrings like it does for us, then it’s the watch for you. The 1.2-inch screen may sound small, but it’s big enough to see the time and other content without having to pull the watch closer to our face. 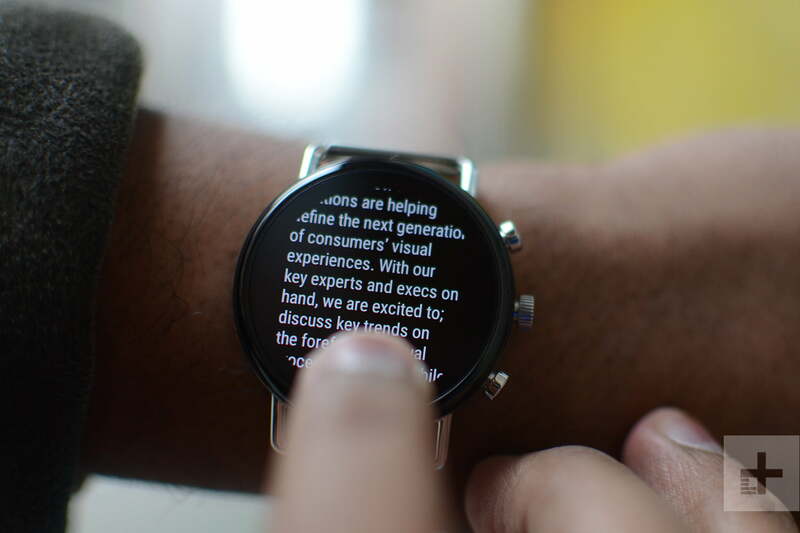 It helps that text looks sharp thanks to the high 390 x 390 resolution (same as the new Fossil Sport). It’s an AMOLED screen, with deep blacks that mask the bezels, and colors really pop. The screen brightness defaults to automatic, but we set it to “3” (out of 5) and had no trouble using the watch. Perhaps the most noticeable change with the Falster 2 is the addition of two buttons flanking the crown. They’re not as springy as the crown, and more rigid, but they open two shortcuts of your choosing. We opted to use the top button to open our Reminders, and the bottom button for Google Pay. It’s a handy way of limiting the need to scroll through the app drawer. Speaking of scrolling, the crown can also now rotate, which means you can use it to scroll through the Wear OS interface. That means fewer fingerprint smudges on the Falster 2’s screen — though we’d have liked scrolling to feel a little smoother. 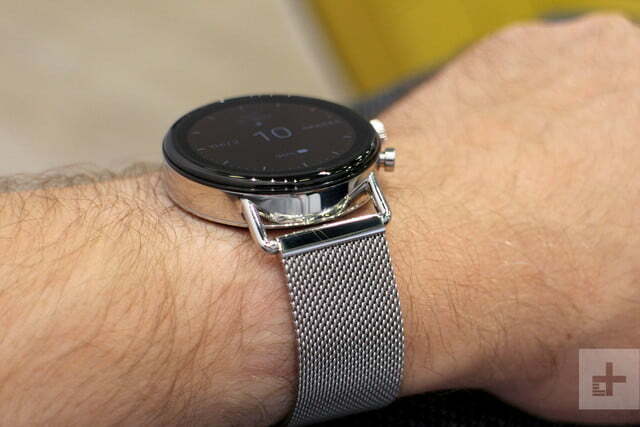 The Skagen Falster 2, like the Falster, is powered by Qualcomm’s Snapdragon Wear 2100 processor running Google’s Wear OS smartwatch operating system. The Wear 2100 is a chipset from February 2016, so it’s quite out of date. Qualcomm unveiled the Snapdragon Wear 3100 chipset a few days after the Falster 2 became available for purchase. 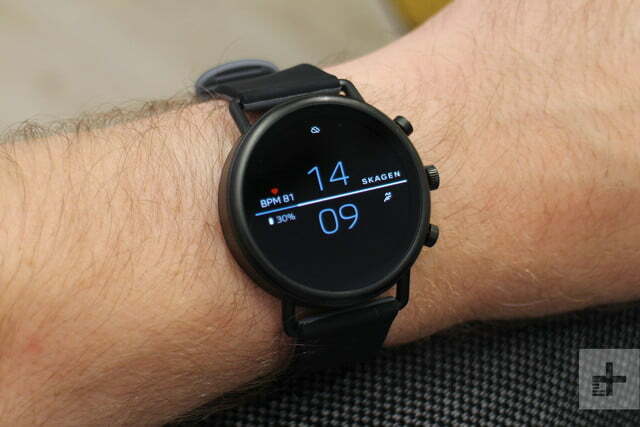 The newer processor offers improved performance, better battery life, and stronger fitness tracking capabilities, so it’s a shame Skagen couldn’t wait to include it in the Falster 2. Performance is decent, though not flawless. Apps can be slow to open and scrolling through the app drawer or asking Google Assistant a question can be choppy. It’s still better than the original Falster, and the new Wear OS update can take the credit. 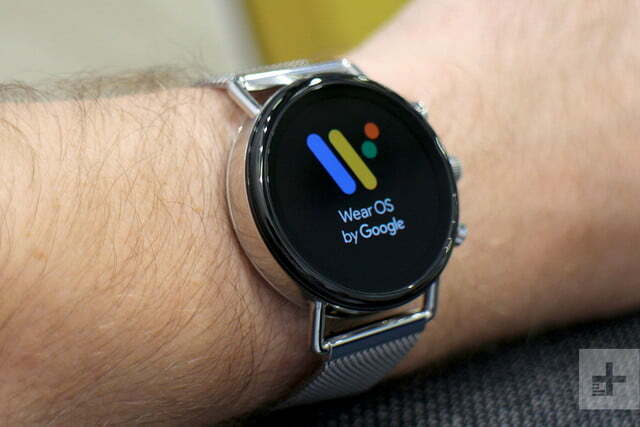 Google’s most recent Wear OS update brought a major redesign to the platform. There are still many other new watches that use the Wear 2100 processor, including the Misfit Vapor 2, the Michael Kors Access Runway, and the Fossil Q Venture HR, and they’re all solid watches. 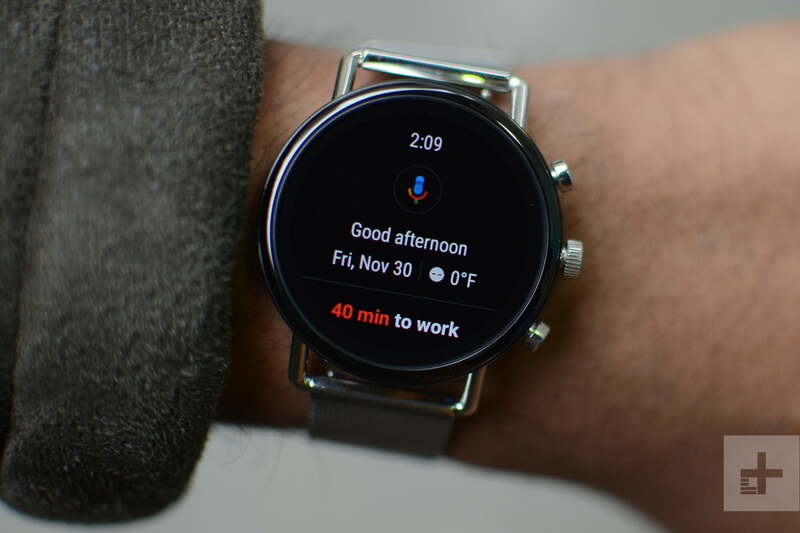 While we would have liked to see all of them utilizing the latest processor (like the Fossil Sport or the Montblanc Summit 2), the latest Wear OS update really does improve the experience a lot more. 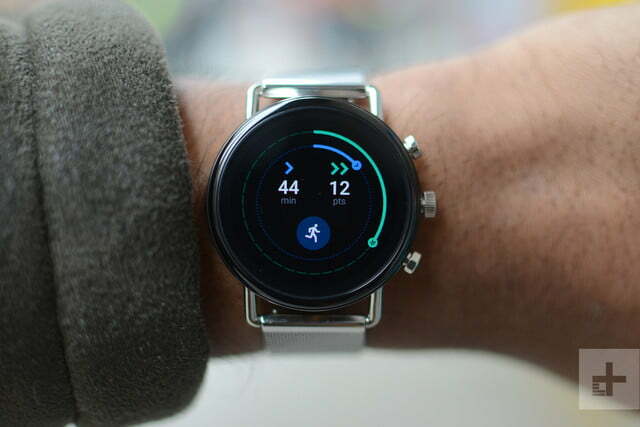 The redesign makes Wear OS faster and easier to use, and the improved Google Fit app (now located to the right of the watch face) makes tracking fitness goals fun. It mimics rings like in the Apple Health app to track your progress, and Fit Workout is available if you want to track a wide range of workouts. 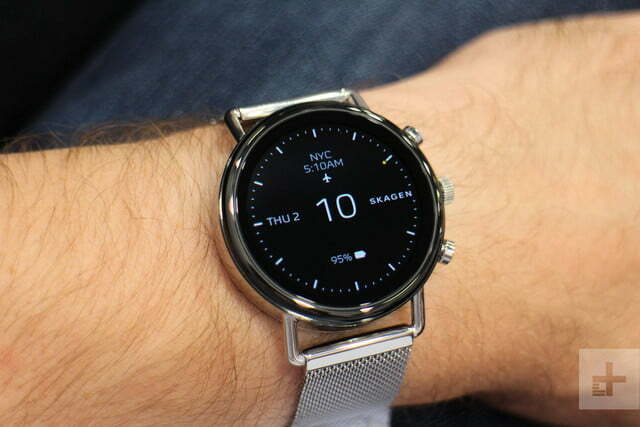 It’s still one of the best-looking smartwatches you can buy today. More watch faces are offered this time around, and all are deeply customizable to your liking. There’s also a ton of alternatives in the Google Play Store on Wear OS. We’re partial to the Analog and Digital watch faces, and we put our own spin on them by adding and removing Complications and tossing in a splash of color. Complications let you see information from apps at a glance directly on the watch face, such as your next calendar event. Like you’ll find on all Wear OS watches, notifications are more streamlined and easier to interact with, and swiping them away dismisses them on your phone. You should know, however, that some functions of Wear OS are limited on the iPhone, such as the inability to respond to iMessages. Most of the time, we only interacted with the Falster 2 to check the time and glance at or dismiss a few notifications. 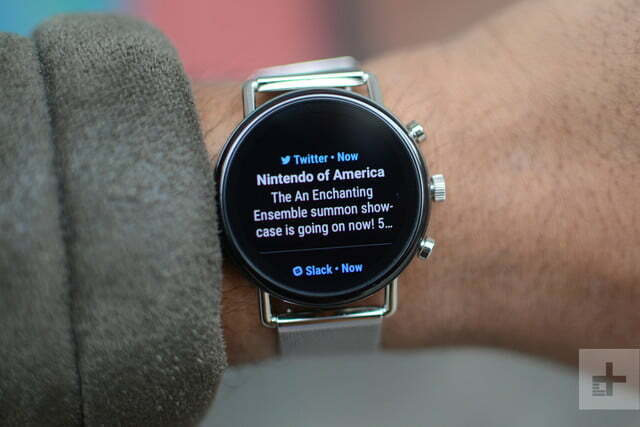 That’s how smartwatches should work. It’s the perfect solution to not having to constantly pull out your smartphone, especially in the middle of a conversation. 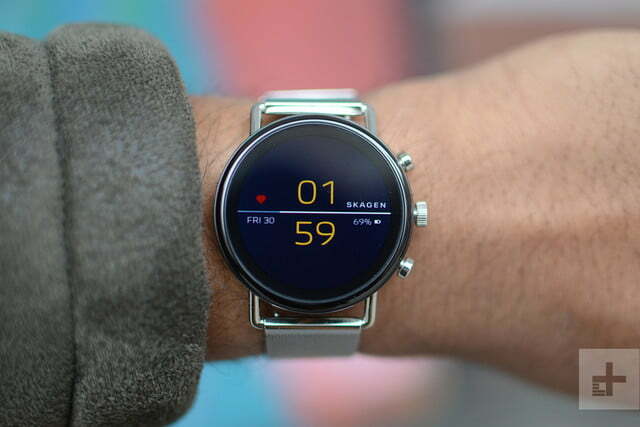 The original Skagen Falster lacked features that were in other smartwatches in its price range, including a heart rate monitor, NFC, and GPS. Skagen has remedied all of that in the Falster 2. 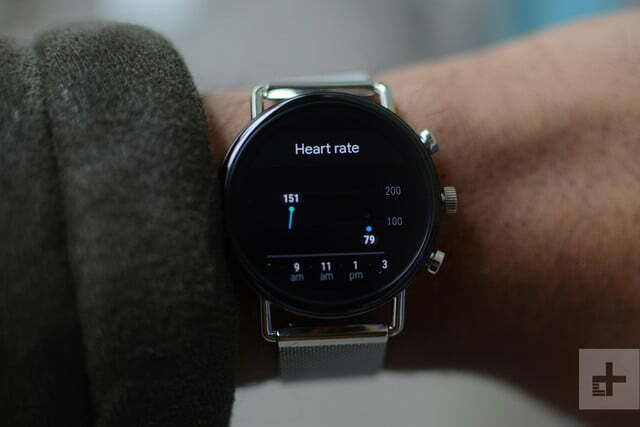 The addition of the heart rate monitor is immensely useful for people who want to keep track of this data; it automatically records your heart rate every 20 minutes. This data is synced to your Google Fit account and can be viewed in a chart so you can see fluctuations over time. The heart rate data is accurate, as our test results were close to our manual count and heart rate data tracked on the Apple Watch Series 4. GPS on the Falster 2 is a tad underused, as Google Fit doesn’t show you a map of where you walked using the GPS from the watch. Instead, it only uses GPS to track distance traveled. There are a few third-party Wear OS applications you can install to track your runs, but it’s handy having directions from Google Maps pop up on our wrist. NFC is available, and it lets you use Google Pay. Paying with the Falster 2 is easy and relatively quick — just hold the watch near to an NFC payment terminal — but it still looks awkward. 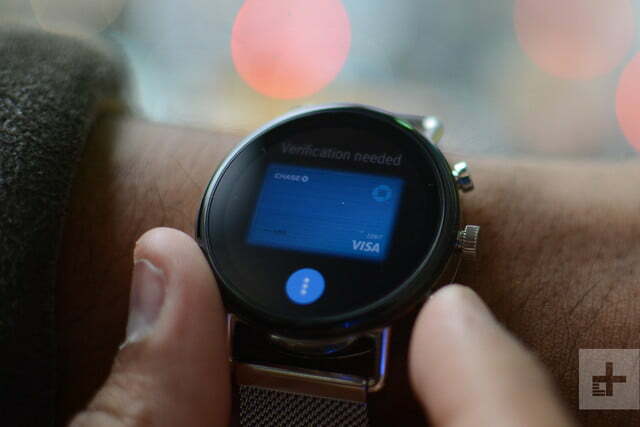 We prefer using Google Pay on our smartphone but having the option to pay with our watch is nice. Google Pay on smartphones supports the ability to add loyalty cards and boarding passes, and it’s a shame you can’t utilize this on Wear OS yet (short of downloading third-party apps). You can easily throw your boarding pass on an Apple Watch with Apple’s Wallet app. The Falster 2 has the same 300mAh battery as its predecessor, which never got us through a day. Does the addition of a heart rate monitor, GPS, and NFC make battery life even worse on the Falster 2? Surprisingly, no. We found the Falster 2 delivered about the same length of battery life, if not slightly better. That doesn’t mean battery life is good, though. The Falster 2 will barely get you through a full day of use — if you don’t use the watch for anything other than glancing at or responding to a few notifications. We often ended our day at 35 percent by 6:30 p.m. That was fine when we went home after work, but for days when we stayed out longer, the watch would often around 10 or 11 p.m. This is with the always-on display turned off, though we did not use the battery saver mode. If you decide to turn off the background heart rate monitoring, you’ll see a slight improvement in battery life, but not by much. Don’t expect this watch to last more than a day. By comparison, Apple’s Watch Series 4 quotes 18 hours of life, and that lined up with what we saw in our tests. Newer Wear 3100 Wear OS watches — like the Fossil Sport — can last just a little over a day, but not much more. Smartwatches that use a less attractive display, like the Garmin Forerunner 645 Music, can last up to five days. 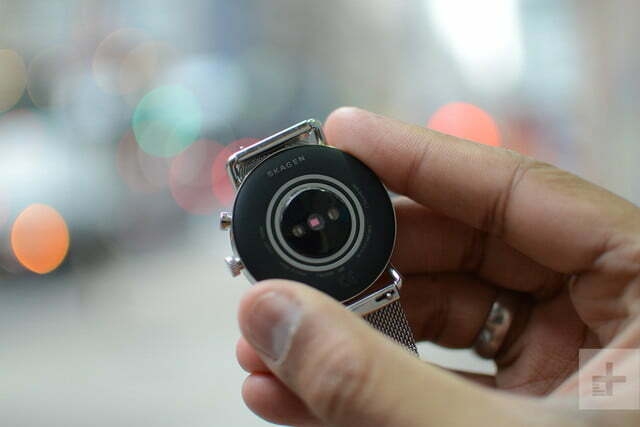 At least Skagen has a wireless fast-charging puck that magnetically snaps onto the Falster 2, and the watch charges impressively fast in a short period of time. 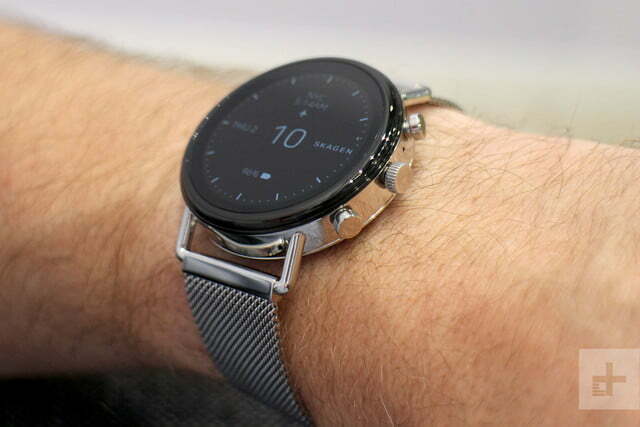 The Skagen Falster 2 starts at $275 (the magnetic steel mesh models cost a little more at $295). 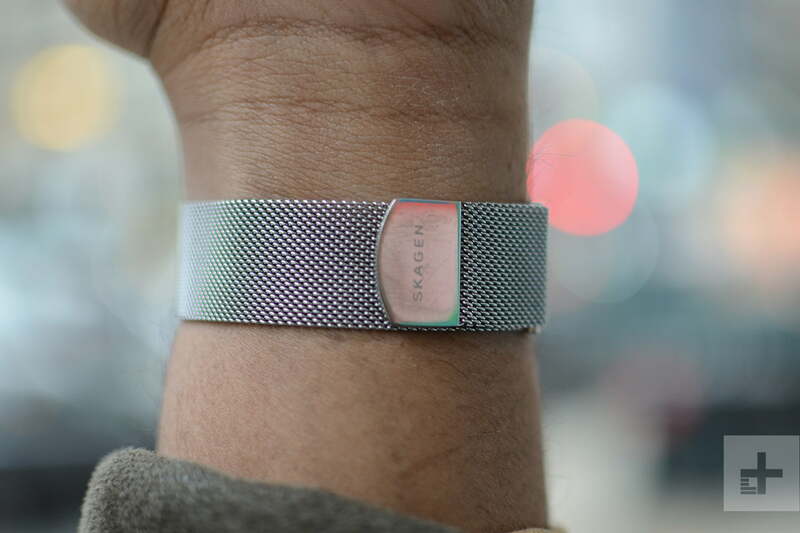 It’s available for purchase now through Skagen’s website. 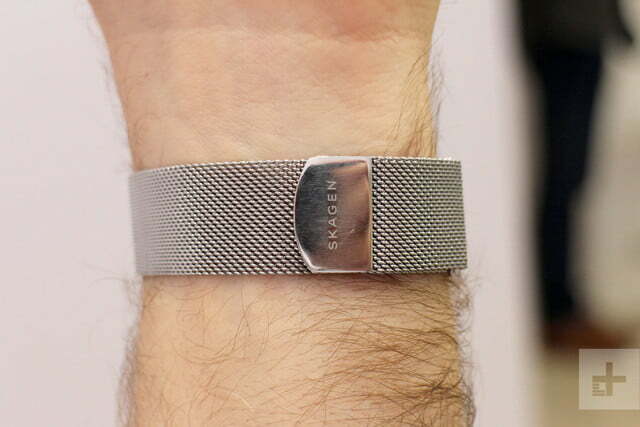 Skagen offers a standard one-year limited warranty on the Falster 2 in the U.S., which covers manufacturing defects. There’re plenty of alternatives, but the choice lies in what you want to display on your wrist. The Apple Watch Series 4 is our top smartwatch pick at the moment, but it only works with iPhone devices. 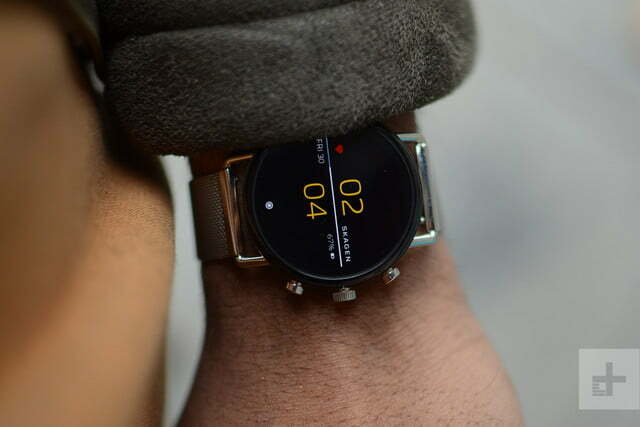 If you’re not a fan of the square form factor, we say take a look at the Fossil Sport. It uses the new Wear 3100 processor and delivers solid battery life and improved performance. 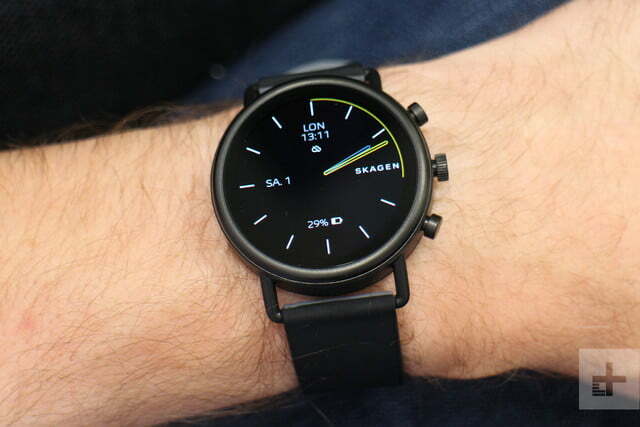 However, we think the Skagen 2 looks better. Keep in mind, the original Falster was unveiled at CES 2018. With CES 2019 almost here, there’s a chance we could see the announcement of the Falster 3, which might pair Wear OS with the newer Wear 3100 processor. 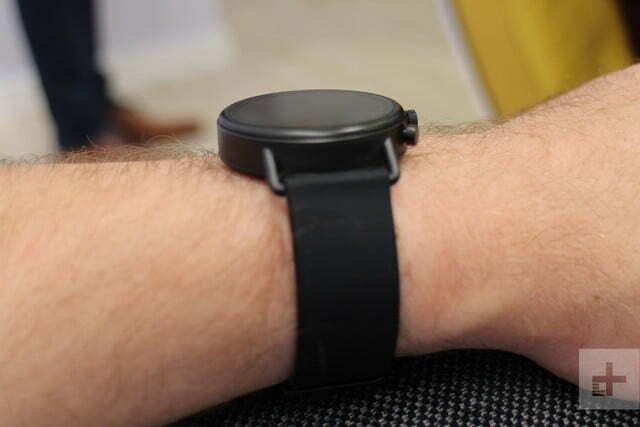 We expect this watch to last two years before battery life starts to deteriorate. 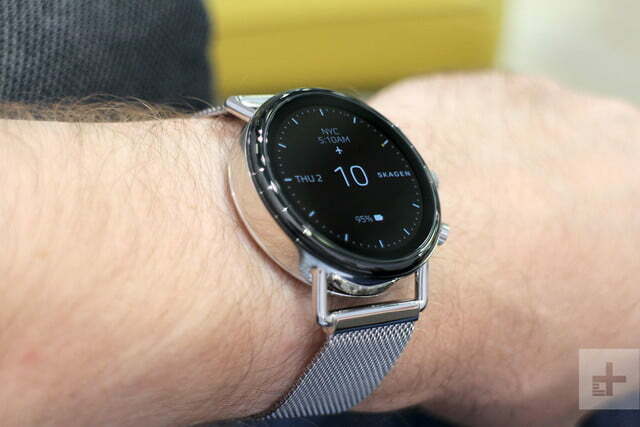 Smartwatches don’t have a long shelf life, and two years is just about the right amount of time before you’ll want to upgrade to a newer model. The Falster 2 does have improved 3 ATM water resistance, so it can handle a bit of water. Yes. If the design speaks to you, and you’re looking for a simple smartwatch to check notifications and track basic fitness activity, buy this watch.